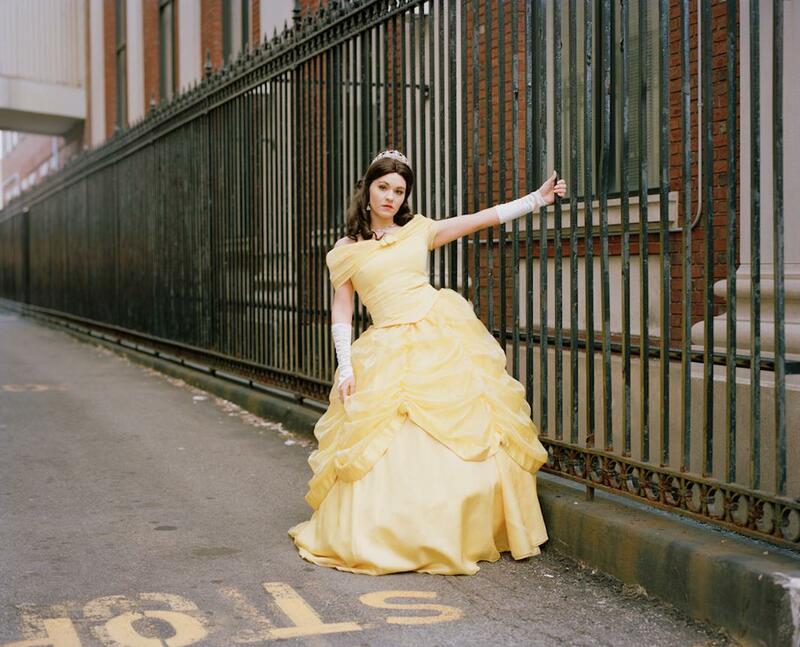 Brian Shumway photographs professional Disney princesses. Professional Disney princesses are experts at bringing magic and fun to any occasion. Off the clock, they’re real people just trying to make a living. Vanessa Golembewski’s March feature for Refinery 29 takes a look at five such women— Omaris Contreras, Sapphire Nova, Eiphany Elease, Brittney Lee Hamilton and Lisa Scrivanich—in the New York City area. Brian Shumway made the accompanying photos over five days between January and February. His goal, he said, was to show the uncanny ways fantasy and reality interact in the lives of his subjects. 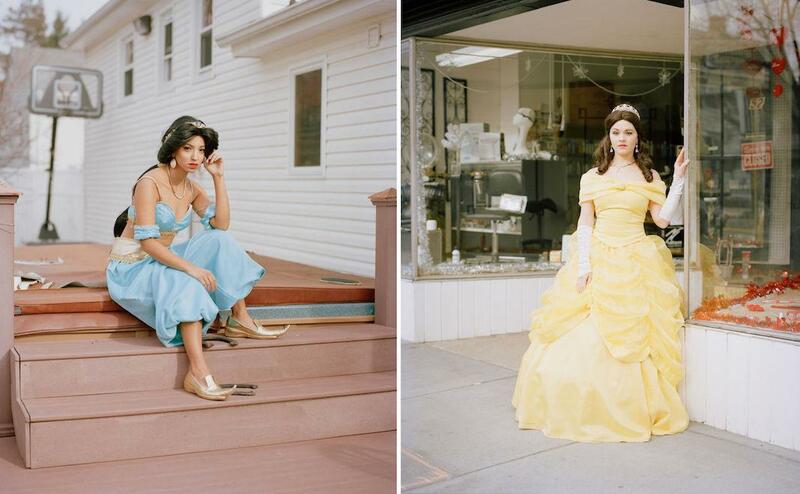 In keeping, the women appear in full costume—as Ariel, Cinderella, Tiana, Jasmine, and Belle respectively—in real-world environments, making for images that strike a fine balance between the playful and the poetic. Contreras, as Jasmine, walks her dog on a suburban New Jersey street. 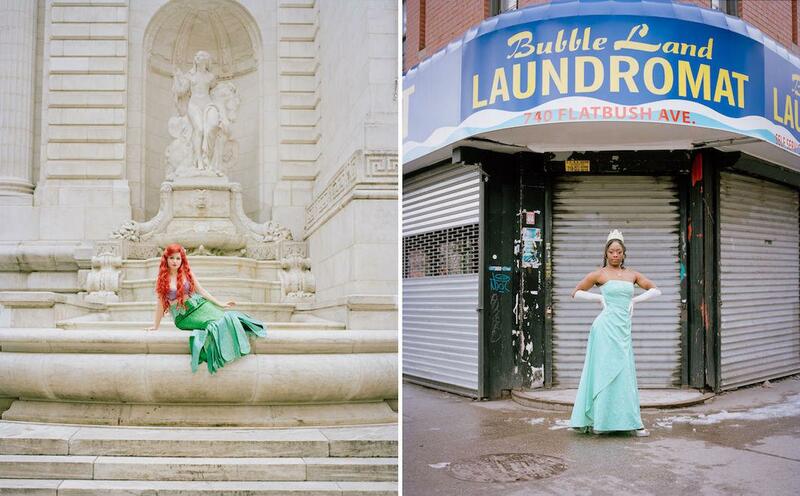 Elease, as Tiana, strikes a pose outside a Brooklyn laundromat. Scrivanich, as Cinderella, crouches among shopping carts and puddles of snowmelt in a parking lot. Across the series, they look serene and utterly unfazed by the incongruity between their outfits and their surroundings. “The last thing I wanted was for the photos to be sappy and nostalgic. I tried to stay away from caricature and cliché. 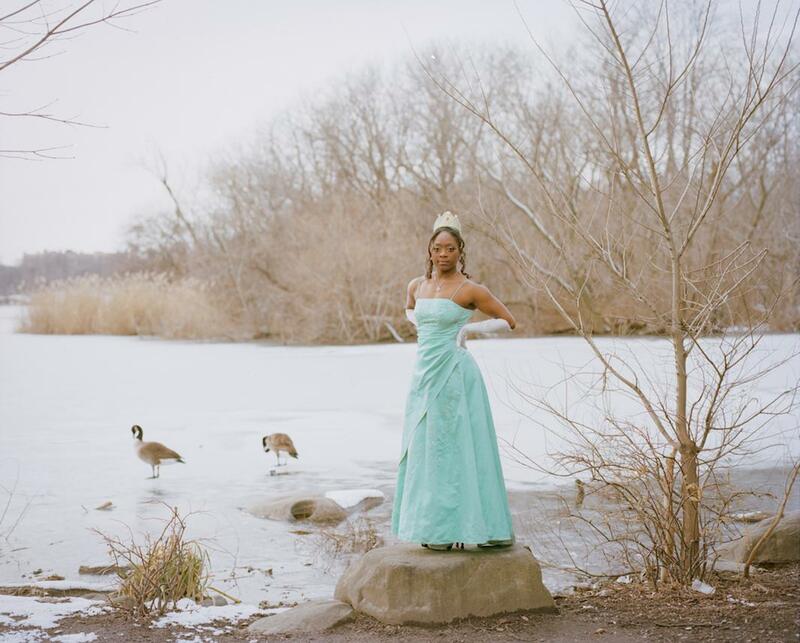 I wanted to portray the Disney princess in a different way, as the kind of princess who has no qualms about getting her dress dirty (and a couple literally did!). She’s a princess that has some street cred but maintains her inherent elegance,” Shumway said via email. Left: Brittney Lee Hamilton as Ariel. Right: Epiphany Elease as Tiana. Left: Omaris Contreras as Jasmine. Right: Sapphire Nova as Belle. Interviews with the women in the feature cover their professional backgrounds, their career aspirations, and their thoughts on playing characters beloved by children but sometimes criticized by adults for being imperfect role models. They also touch on the occasional frustrations of the job, including “nit-picky requests,” temper tantrums, and uncomfortably “friendly” dads. Still, it’s clear the women aren’t eager to trade the gig for a desk job any time soon. “Everybody’s always so excited by it. It’s something out of the ordinary. It’s not like I work in a cubicle. I’m a princess,” Nova told Golembewski. 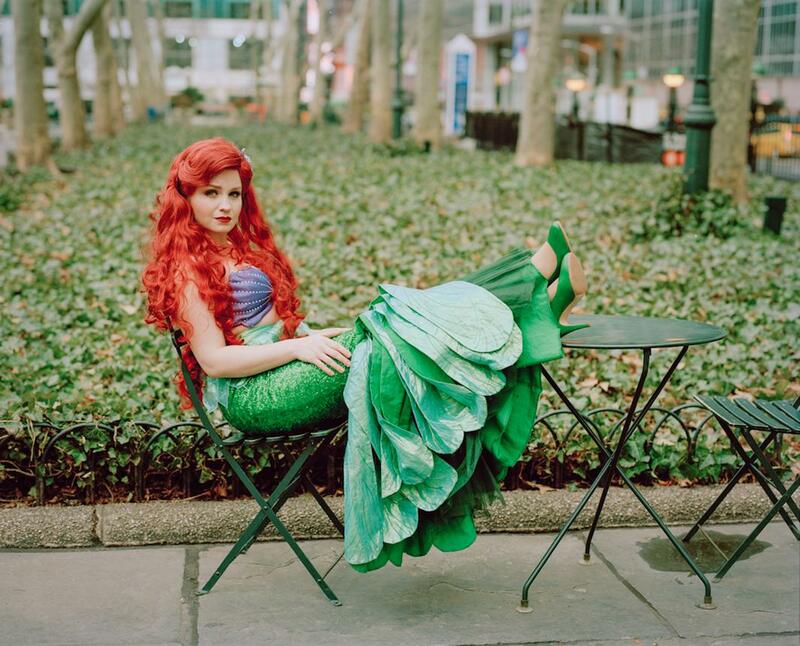 Brittney Lee Hamilton as Ariel.